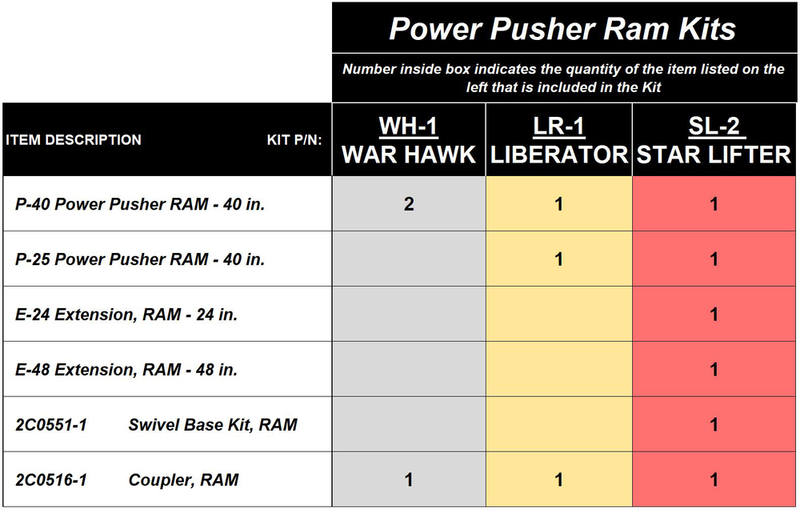 Power Pusher RAM — Power Hawk Technologies, Inc. 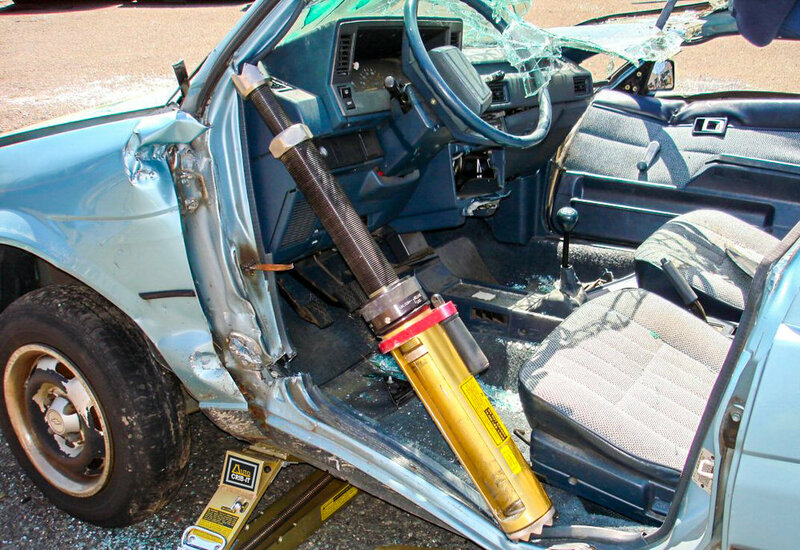 The Power Pusher® Ram System is a patented multi-purpose spreading and load-holding tool system that is used for vehicle extrication, collapse, stabilization, damage control, and other operations. Power Pushers operate using the spreading power from the P-16 Rescue Tool or from any spreader rescue tool that can fit into the Power Pusher’s patented slot & push-plate configuration. The Power Pusher Ram system may also be operated manually as stand-alone items for stabilizing and load-holding operations. 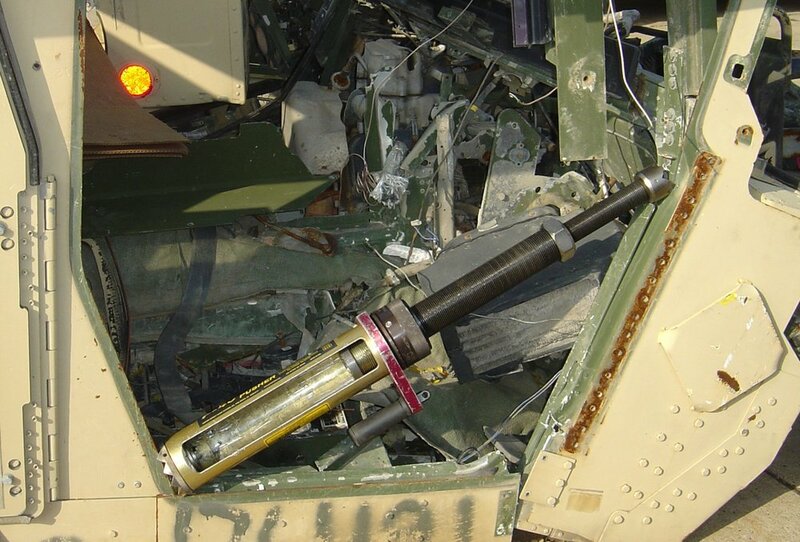 The Power Pushers’ enormous holding capability is achieved utilizing ZipNut® technology. Perform vehicle extrication operations such as “dashboard rolls” safely, quickly, and easily.Use ANY OTHER SPREADER RESCUE TOOL that fits in the Power Pusher's slot to get the job done! All-mechanical and no hydraulics. No need for power units, hoses, fluids, or fuels! 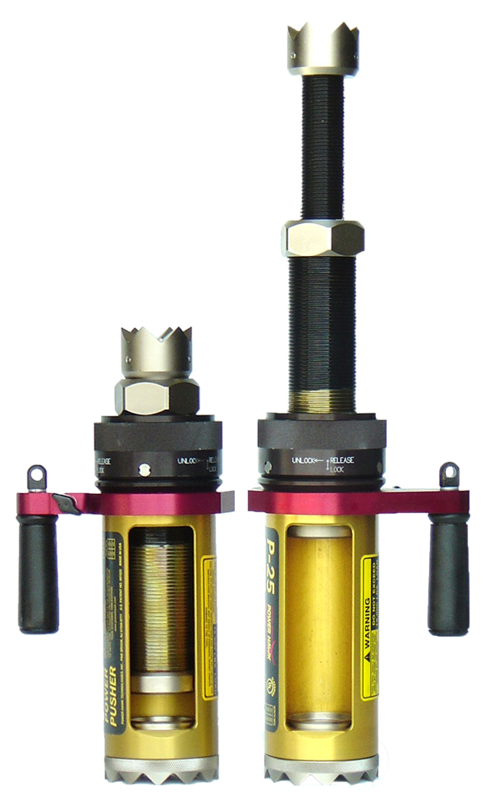 For stabilizing and shoring situations, extend and lock the Power Pusher manually in seconds. Watch the P-40 Power Pusher Ram used to perform a dash roll with the POWER HAWK P4 Rescue Tool, utilizing the P4's variable speed! The Power Pushers come in two sizes - easily add on extensions to make the tool longer. You can even connect two Power Pusher RAMs back-to-back to create RAM that works on both sides! Want to see it in real life? Request a demo! Our kits are created to provide you with maximum versatility. 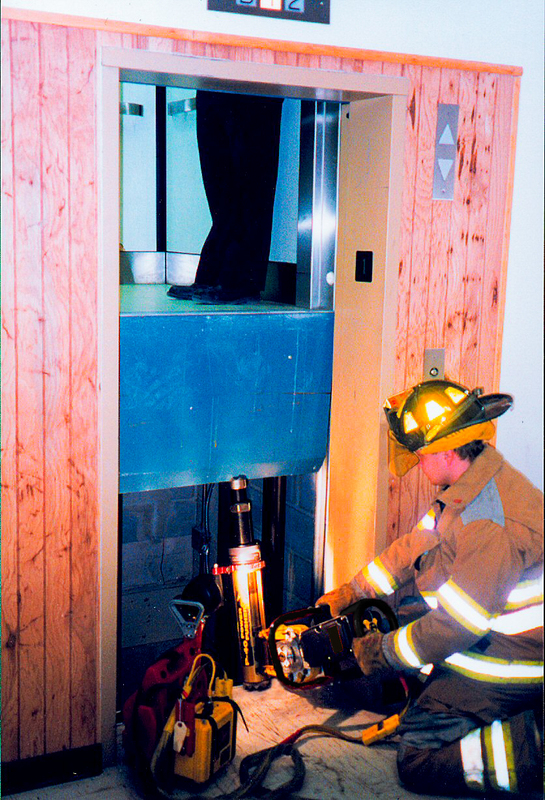 Whether it's vehicle extrication (including armored), damage control, aircraft rescues, special operations, collapse rescues, remote rescues, indoor and confined space operations, forcible entry, rapid-intervention teams and more, we will help you select the right kit to get the job done. to request a demo for the Power Pusher Ram System!